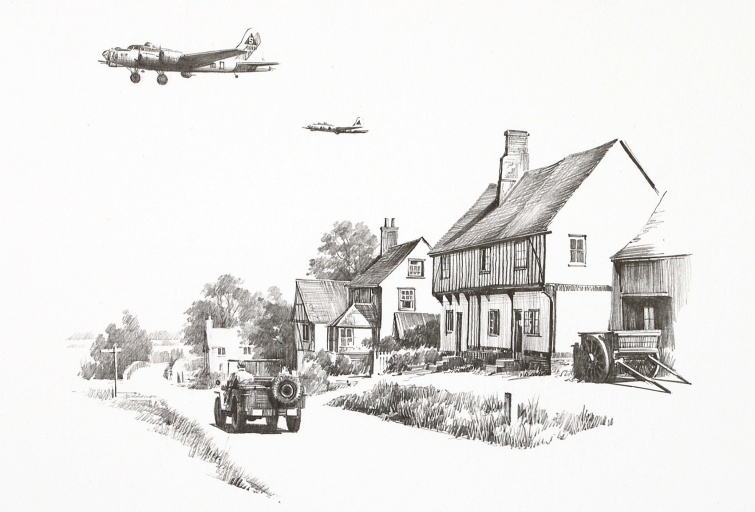 A lovely pencil study of B17s from the 401st Bomb Group returning to Deenthorpe, Northamptonshire in April 1944. Featured as an illustration in Nicolas Trudgian's 2008 'Aviation Sketchbook'. Dimensions are: 6" x 4" image area on an A4 sheet.